This easy-to-use financial calculator delivers powerful computation functions and memory, ideal for business, finance students and professionals. Calculate IRR, MIRR, NPV and NFV for cash-flow analysis - Store up to 32 uneven cash flows with up to four-digit frequencies and edit inputs to analyze the impact of changes in variables. The Texas Instruments BA II Plus Financial calculator features all the great features of its predecessor while packing in even more time-saving functions to make short work of complex equations. It's an ideal choice for entry level and advanced finance, accounting, economics, investment, statistics, and other business classes. It's also a great choice to bring to the Chartered Financial Analyst (CFA) exam. Along with the standard capabilities of time-value-of-money, accrued interest, amortization, cost-sell-margin, and depreciation calculations, users can calculate more advanced business and finance related issues. It will handle net future value (NFV), modified internal rate of return (MIRR), modified duration, payback, discount payback, and more. 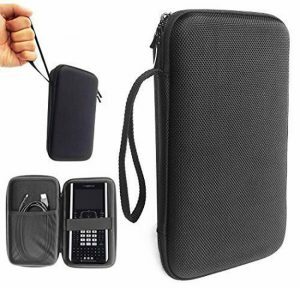 Its rugged metal exterior, firm-touch keypad and anti-slip rubber feet make it ideal for anyone in accounting, economics, investing, statistics, and related businesses. 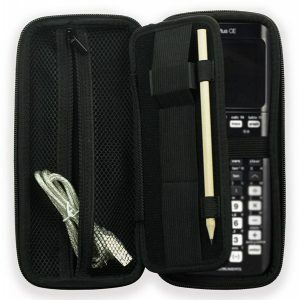 The Texas Instruments BA II Plus calculator also comes with a black protective case. Finance, Accounting, Economics, Investment, Statistics, Other business classes. Solid all around product. I am a CA Candidate and have always used TI calculators. Excellent choice for accounting and finance due to its wealth of features. This is my first time with this particular model..great product. I am an accounting Master's student. 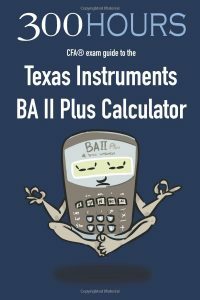 This texas instruments ba ii plus calculator has been very useful in all classes so far. I have not been able to burn up a battery yet. The screen allows for many numbers on the display at one time, and the time value functions are very handy. I bought this for my Master's classes (Project Management) and to take my Six Sigma Black Belt exam. My classes do not permit a graphing calculator and my CSSBB exam does not allow alphabetic keys. This had all of the functions you need for investment/statistic equations. for the numbers and key functions. I agree with the other reviewer...you can spend some time looking for buttons. This irritant went away with practice. After using it awhile, I wasn't struggling with the functions. I use this mainly for my financial planning calculations. Very easy to use, accurate results, and relatively faster than Sharp and HP ones that I have used. 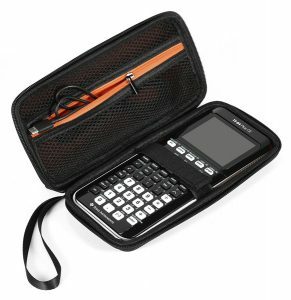 Initially I started with the BA II Plus calculator for my college courses, and then found this one when browsing through Staples for a better calculator. Someone had returned this and they gave me a $15 discount for the open box. That was summer 2009 and since then it has been a part of my daily work. I love it!! 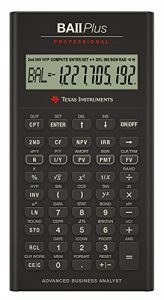 I originally purchased the texas instruments BA II Plus finance calculator for my schooling (I am working on a degree in accounting). I returned the BA II Plus in favor the the Professional, and if you are debating between the BA II Plus and the Professional; I recommend the BA II Plus Professional. The reason is the buttons. With the BA II Plus there is no way, other than keeping a very close watch on the display screen, to know if: A) a button has been pressed at all; or, B) two buttons have been accidentally pressed. With the BA II Plus Professional there is a small clicking feeling when a button has been pressed, thus enabling a confident user to input calculations without having to constantly check for input errors. There has been a lot of bad press on this calculator, so I would like to put in my two cents. I received the calculator quickly. - The calculator received was the newer version, not the one in the picture. By all accounts this is either very bad or very good. For now I am choosing to take it as a positive. - By feel, it is solidly built, hefty even. By comparison, I have been lugging around the old Casio scientific calculator I used on the PE which weighs in at about half as much and is slightly larger dimensionally. - I did the test of inputting numbers 1-9 as quickly as possible, and had no issues. The firm press buttons do not feel clunky, just solid. Perhaps it is my background with other older technology where hair trigger buttons tend to cause headaches. I like to feel when I have actuated a button or switch. If they stiffen up in the long run, I will post that later. - My only complaints were that I had to change the calculator to algebraic order of operations from the default and that it does not display full input formulas prior to executing the calculation (which are features I have come to love from my trusty old Casio scientific calculator). The algebraic notation is really important for most calculations as it denotes order of operations above and beyond the parentheses. A personal pet peave for me was also that the default decimal is set at 2 places (dollars and cents). Personally, I prefer to do my own rounding instead of trusting a machine to do it for me, especially as you can't tell if it is truncating. This was also changed while I was changing the order of operations (its in the manual). This is of course predicated on my having just gotten the machine for my MBA program and not having really used it heavily yet. Also please not that I am an engineer, not a business undergrad or accountant. As a result, my remarks are based solely on my experience with high end graphing and programmable calculators as well as on the scientific calculators allowed in the engineering certification exams. Meets all professional requirement of a Finance person. Great calculator for more advanced math and finance calculations.